The term 'run a boat' refers to an age-old Jamaican tradition where the community comes together, pooling money and food to prepare one delicious meal. Running a boat is usually done outside on woodfire or charcoal stove, but can also be done in the kitchen. This popular Jamaican pastime not only promotes unity, but helps to form bonds across groups and communities islandwide. 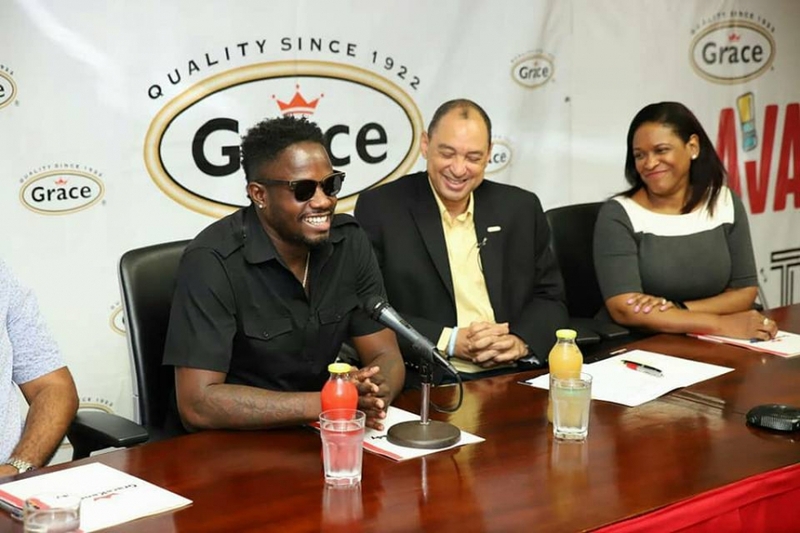 Recently, Ding Dong Ravers, who has now been appointed Grace Foods' newest, official ambassador, ran a boat in his community, Nannyville, and shared it on social media. The community came together, everyone contributed ingredients, and Ding Dong used his all-time favourite product, Grace Mackerel, as the base. This caught the attention of GraceKennedy, and on Wednesday, May 30, Grace Kennedy surprised Ding Dong in his community with cases of Grace Mackerel to run a boat. The artiste and dancer, along with other street-style chefs, from every corner and lane, showed us how they like to cook mackerel, and how good food has the power to bring people together.